She is a caring, loving girl that is happy all the time. She gets along with everyone in her class and is currently the president of the school student government. Her mom has a small grocery store in her house and her dad drives a truck. They are victims of extortion by the local gangs. 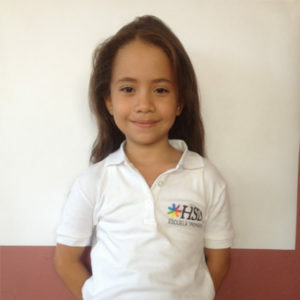 Her mom is a volunteer for cleaning at HSD.